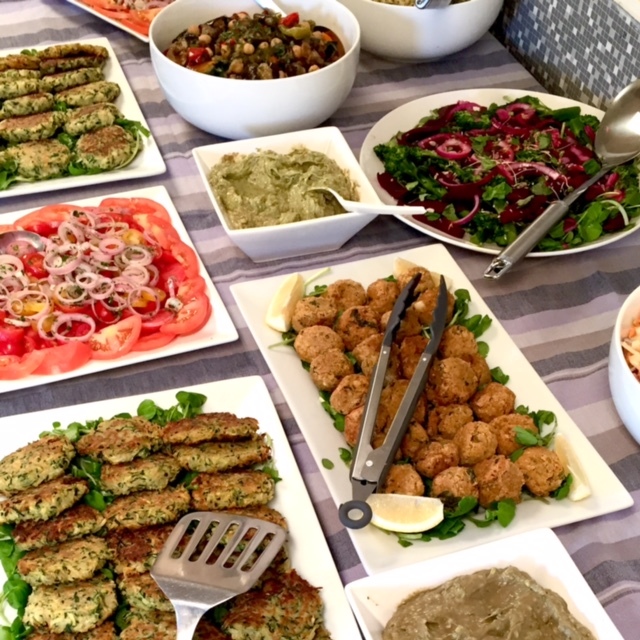 At our last workshop, the catering provided by Rachel Craft of www.rachelssweetkitchen.com went down a storm. You can see the spread in the photo above. 1. Grate the courgette and put it in a bowl. Sprinkle salt over the courgette and leave for at least 1 hour to extract the liquid. 2. Wrap the courgette in a clean tea towel and squeeze out the liquid. 3. Add the minced garlic, flour, onion granules, coriander and black pepper. 5. Heat oil and fry the fritters gently for 5 minutes on each side. 6. Serve with a large side salad for a delicious lunch for two.